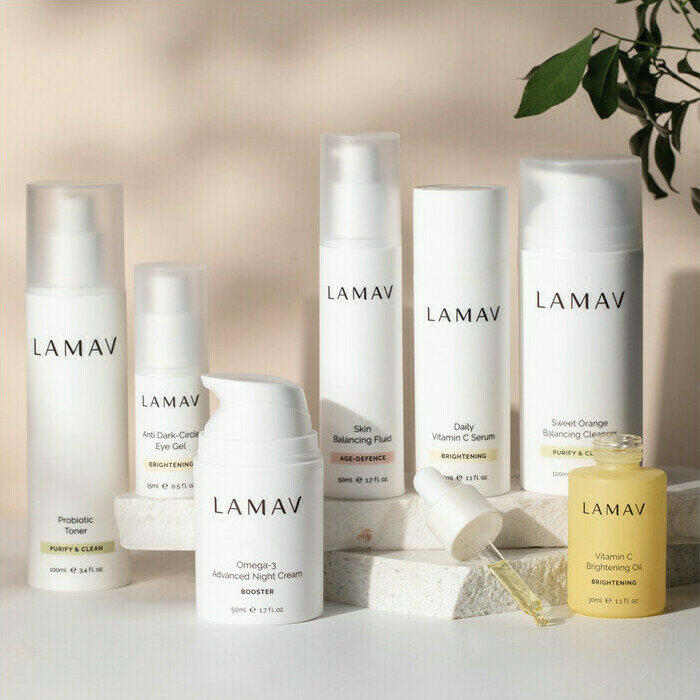 This La Mav Anti-Ageing Organic Skincare Collection contains 6 full-size products formulated for oily or combination skin types. Made in Australia, Certified Organic, Vegan and Certified Cruelty Free. *Aloe Barbadensis (Aloe Vera) Leaf Juice; *Rosa Damascena (Rose) Distillate; *Glycerin (Vegetable); Sodium Levulinate; Sodium Anisate; Sodium Stearoyl Lactylate; Acacia Senegal Gum (and) Hydrolyzed Rhizobian Gum; Cetearyl Glucoside; *Lycium Barbarum (Goji) Extract; Hyaluronic Acid; Glyceryl Caprylate; Bisabolol; Chlorella Vulgaris Extract; *Glycyrrhiza Glabra (Licorice) Root Extract; Rumex Occidentalis Extract; Salix Alba (Willow) Bark Extract, Ascophyllum Nodosum Extract; *Matricaria Recutita (Chamomile) Flower Extract; Malva Sylvestris (Mallow) Extract, Mentha Piperita (Peppermint) Leaf Extract, Primula Veris Extract, Alchemilla Vulgaris Extract, Veronica Officinalis Extract, Melissa Officinalis Leaf Extract, Achillea Millefolium Extract; Tocopheryl Acetate (Vitamin E – plant derived); Xanthan Gum; Cassia Alata Leaf Extract; Argania Spinosa Leaf Extract; Essential Oils of *Citrus Grandis (Grapefruit), *Cananga Odorata (Ylang Ylang) and *Citrus Sinensis (Orange Sweet). *Simmondsia Chinensis (Jojoba) Seed Oil, *Prunus Armeniaca (Apricot Kernel) Oil, Ascorbyl Tetraisopalmitate (Vitamin C); *Oenothera Biennis (Evening Primrose) Oil, Tocopheryl Acetate (Vitamin E – plant derived); *Euterpe Oleracea (Acai) Pulp Oil; *Vaccinium Myrtillus (Bilberry) Seed Oil, *Borago Officinalis (Borage) Seed Oil; *Rosa Canina (Rosehip) Oil; *Camellia Oleifera (Camellia) Oil; *Calophyllum Inophyllum (Tamanu) Nut Oil, *Vaccinium Vitis-Idaea (Lingonberry) Seed Oil, Rosmarinus Officinalis (Rosemary) Leaf Extract, *Essential Oils of – *Cananga Odorata (Ylang Ylang), *Cymbopogon Citratus (Lemongrass), *Boswellia Carteri (Frankincense), *Commiphora Myrrha (Myrrh), *Citrus Sinensis (Orange Sweet) and *Citrus Grandis (Grapefruit) Peel Oil. I bought the La Mav Combination collection because not only would it address my skin concerns especially with hormonal break outs but also cared for anti ageing as well and for me that was a surprise. Most kits Ive tried claimed to have both but found the creams were too heavy/rich for my skin which in turn would affect my breakouts, making it worse. 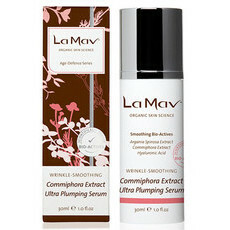 After the first use of trying La Mav, my skin looked fresh, new, healthy and clean. The redness was reduced & calm. 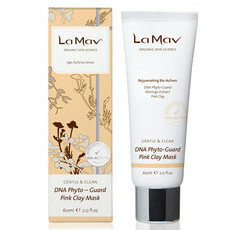 Having hormonal breakouts as well as sensitive skin, I did not experience any negative side affects. My skin kept getting better every time. Each product has a pump dispencer which I appreciate, so easy to use and keep clean! If you experience hormonal breakouts regularly and you also want to address fine lines and wrinkles without disturbing the rest of your skin, then this anti aging kit is for you! 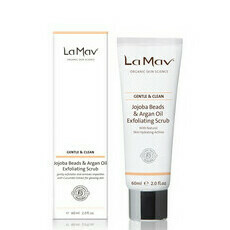 La Mav has created a nice balance to achieve between Oily/combination skin and addressing anti aging in this beautiful collection. A good way to try the products. Some I really like others I wouldn't buy again like the day fluid. No 'serum' provided in this pack either so one step in the process is missing. Do love the cleanser will definitely buy that again. 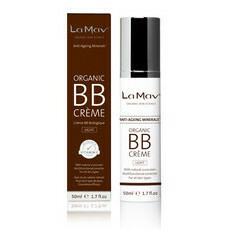 I think for combination skin you may be better to choose each product separately for your particular needs.